Pure silver (also called fine silver) exhibits the highest electrical and thermal conductivity of all metals. It is also resistant against oxidation. 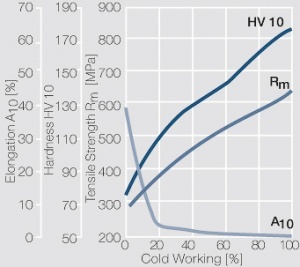 Major disadvantages are its low mechanical wear resistance, the low softening temperature, and especially its strong affinity to sulfur and sulfur compounds. In the presence of sulfur and sulfur containing compounds brownish to black silver sulfide layer are formed on its surface. These can cause increased contact resistance or even total failure of a switching device if they are not mechanically, electrically, or thermally destroyed. 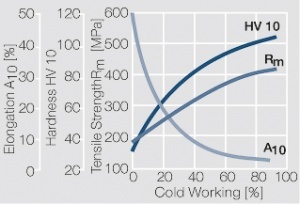 Other weaknesses of silver contacts are the tendency to weld under the influence of over-currents and the low resistance against material transfer when switching DC loads. In humid environments and under the influence of an electrical field silver can creep (silver migration) and cause electrical shorting between adjacent current paths. 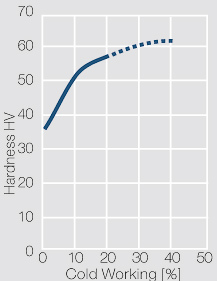 Table 1 shows the typically available quality grades of silver. In certain economic areas, i.e. China, there are additional grades with varying amounts of impurities available on the market. In powder form silver is used for a wide variety of silver based composite contact materials. Different manufacturing processes result in different grades of Ag powder as shown in Table 2. additional properties of silver powders and their usage are described in Precious Metal Powders und Table Different Types of Silver Powders. Semi-finished silver materials can easily be warm or cold formed and can be clad to the usual base materials. For attachment of silver to contact carrier materials welding of wire or profile cut-offs and brazing are most widely applied. Besides these mechanical processes such as wire insertion (wire staking) and the riveting (staking) of solid or composite contact rivets are used in the manufacture of contact components. Contacts made from fine silver are applied in various electrical switching devices such as relays, pushbuttons, appliance and control switches for currents < 2 A Table 6. Electroplated silver coatings are widely used to reduce the contact resistance and improve the brazing behavior of other contact materials and components. 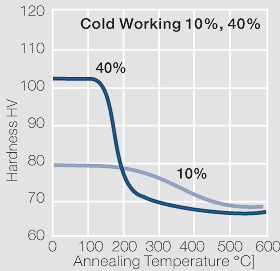 To improve the physical and contact properties of fine silver melt-metallurgical produced silver alloys are used Table 3. 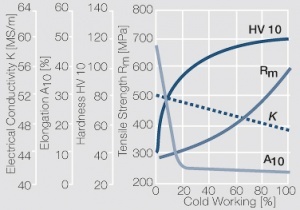 By adding metal components the mechanical properties such as hardness and tensile strength as well as typical contact properties such as erosion resistance, and resistance against material transfer in DC circuits are increased Table 4. 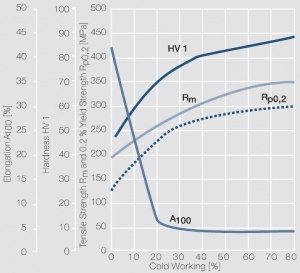 On the other hand however, other properties such as electrical conductivity and chemical corrosion resistance can be negatively impacted by alloying Figure 3 and Figure 4. Fine-Grain Silver (ARGODUR-Spezial) is defined as a silver alloy with an addition of 0.15 wt% of Nickel. Silver and nickel are not soluble in each other in solid form. 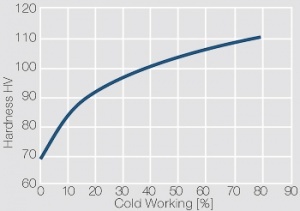 In liquid silver only a small amount of nickel is soluble as the phase diagram Figure 7 illustrates. 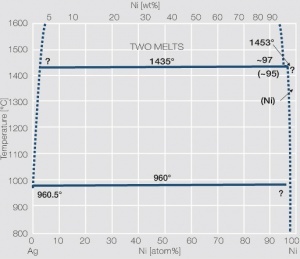 During solidification of the melt this nickel addition gets finely dispersed in the silver matrix and eliminates the pronounce coarse grain growth after prolonged influence of elevated temperatures Figure 5 and Figure 6. Fine-grain silver has almost the same chemical corrosion resistance as fine silver. 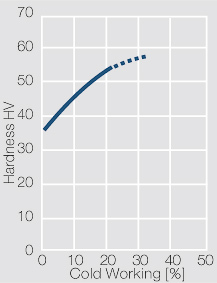 Compared to pure silver it exhibits a slightly increased hardness and tensile strength Table 4. The electrical conductivity is just slightly decreased by this low nickel addition. Because of its significantly improved contact properties fine grain silver has replaced pure silver in many applications. 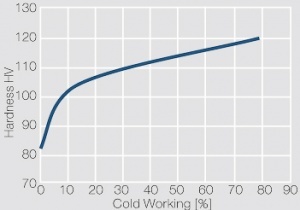 Using copper as an alloying component increases the mechanical stability of silver significantly. 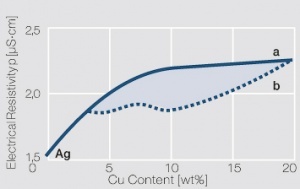 The most important among the binary AgCu alloys is that of AgCu3, known in europe also under the name of hard-silver. This material still has a chemical corrosion resistance close to that of fine silver. 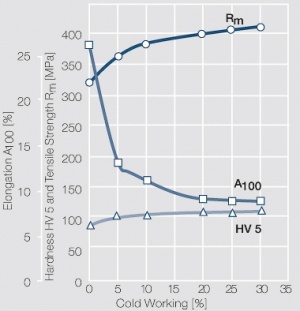 In comparison to pure silver and fine-grain silver AgCu3 exhibits increased mechanical strength as well as higher arc erosion resistance and mechanical wear resistance Table 4. 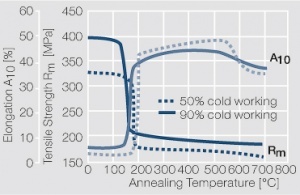 Increasing the Cu content further also increases the mechanical strength of AgCu alloys and improves arc erosion resistance and resistance against material transfer while at the same time however the tendency to oxide formation becomes detrimental. 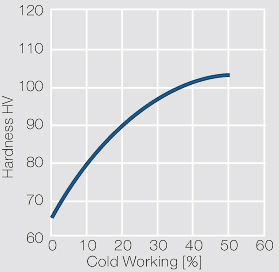 This causes during switching under arcing conditions an increase in contact resistance with rising numbers of operation. 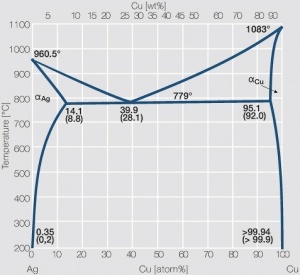 In special applications where highest mechanical strength is recommended and a reduced chemical resistance can be tolerated, the eutectic AgCu alloy with 28 wt% of copper Figure 8 is used. AgCu10 also known as coin silver has been replaced in many applications by composite silver-based materials while sterling silver (AgCu7.5) has never extended its important usage from decorative table wear and jewelry to industrial applications in electrical contacts. 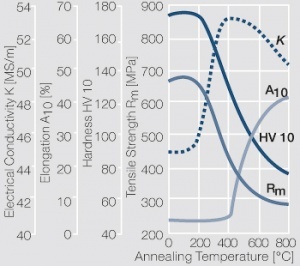 Besides these binary alloys, ternary AgCuNi alloys are used in electrical contact applications. 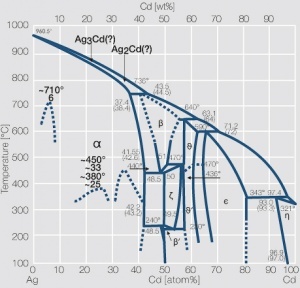 From this group the material ARGODUR 27, an alloy of 98 wt% Ag with a 2 wt% Cu and nickel addition has found practical importance close to that of AgCu3. This material is characterized by high resistance to oxidation and low tendency to re-crystallization during exposure to high temperatures. 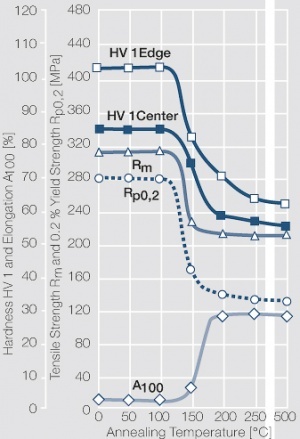 Besides high mechanical stability this AgCuNi alloy also exhibits a strong resistance against arc erosion. 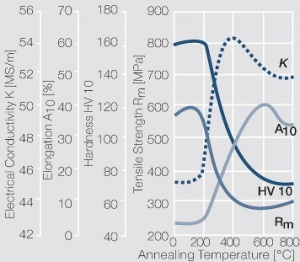 Because of its high resistance against material transfer the alloy AgCu24.5Ni0.5 has been used in the automotive industry for an extended time in the North American market. Caused by miniaturization and the related reduction in available contact forces in relays and switches this material has been replaced widely because of its tendency to oxide formation. The attachment methods used for the hard silver materials are mostly close to those applied for fine silver and fine grain silver. 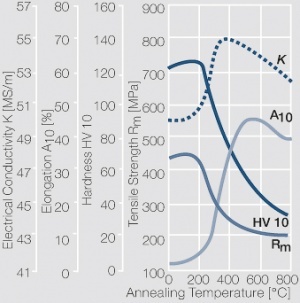 Hard-silver alloys are widely used for switching applications in the information and energy technology for currents up to 10 A, in special cases also for higher current ranges Table 6. 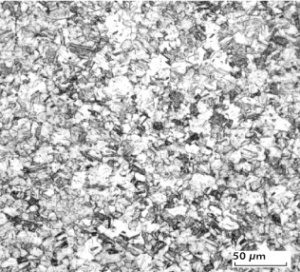 Dispersion hardened alloys of silver with 0.5 wt% MgO and NiO (ARGODUR 32) are produced by internal oxidation. 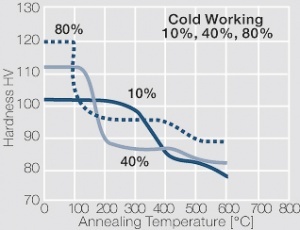 While the melt-metallurgical alloy is easy to cold-work and form the material becomes very hard and brittle after dispersion hardening. 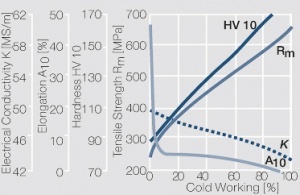 Compared to fine silver and hard-silver this material has a greatly improved temperature stability and can be exposed to brazing temperatures up to 800°C without decreasing its hardness and tensile strength. Because of these mechanical properties and its high electrical conductivity ARGODUR 32 is mainly used in the form of contact springs that are exposed to high thermal and mechanical stresses in relays, and contactors for aeronautic applications. 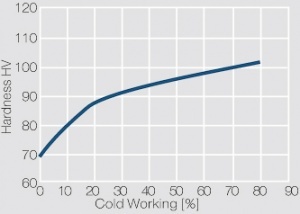 The addition of 30 wt% Pd increases the mechanical properties as well as the resistance of silver against the influence of sulfur and sulfur containing compounds significantly Table 7 and Table 8. 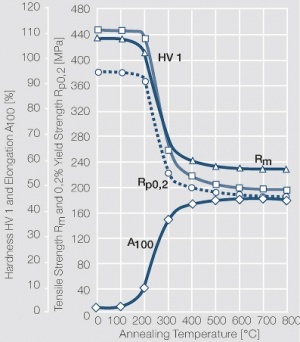 Alloys with 40-60 wt% Pd have an even higher resistance against silver sulfide formation. 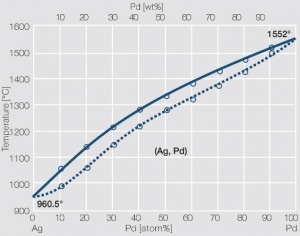 At these percentage ranges however the catalytic properties of palladium can influence the contact resistance behavior negatively. The formability also decreases with increasing Pd contents. 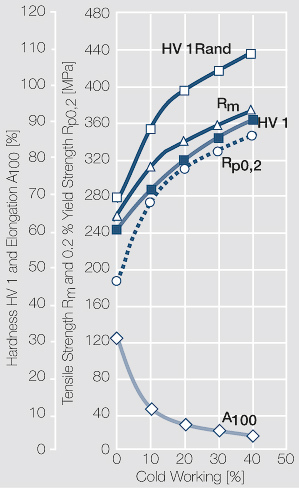 AgPd alloys are hard, arc erosion resistant, and have a lower tendency towards material transfer under DC loads Table 9. 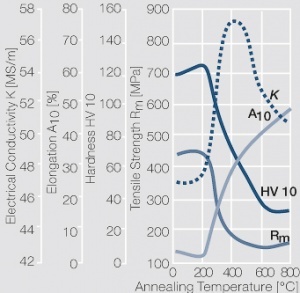 On the other hand the electrical conductivity is decreased at higher Pd contents. The ternary alloy AgPd30Cu5 has an even higher hardness which makes it suitable for use in sliding contact systems. 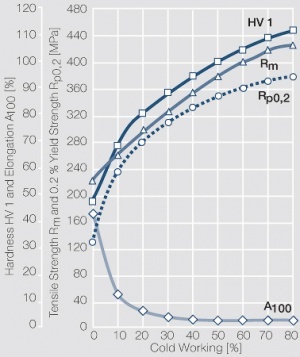 AgPd alloys are mostly used in relays for the switching of medium to higher loads (> 60V, > 2A) as shown in Table 10. 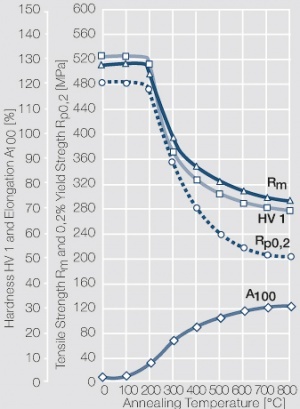 Because of the high palladium price these formerly solid contacts have been widely replaced by multi-layer designs such as AgNi0.15 or AgNi10 with a thin Au surface layer. 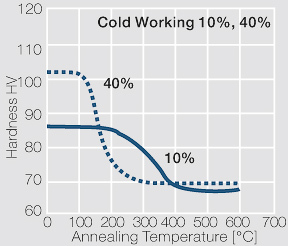 A broader field of application for AgPd alloys remains in the wear resistant sliding contact systems. 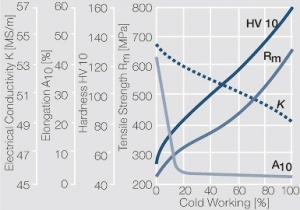 The high density produced during hot extrusion aids the arc erosion resistance of these materials Table 11. 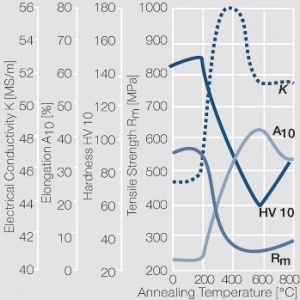 The typical application of Ag/Ni contact materials is in devices for switching currents of up to 100A Table 14. 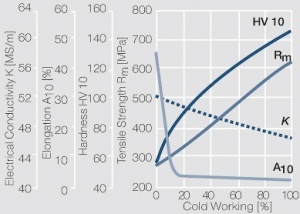 In this range they are significantly more erosion resistant than silver or silver alloys. In addition they exhibit with nickel contents < 20 wt% a low and over their operational lifetime consistent contact resistance and good arc moving properties. 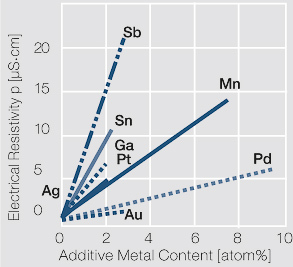 In DC applications Ag/Ni materials exhibit a relatively low tendency of material transfer distributed evenly over the contact surfaces Table 13 . Typically Ag/Ni (SINIDUR) materials are usually produced with contents of 10-40 wt% Ni. The most widely used materials SINIDUR 10 and SINIDUR 20- and also SINIDUR 15, mostly used in north america-, are easily formable and applied by cladding Figure 27 Figure 28 Figure 29 Figure 30. They can be, without any additional welding aids, economically welded and brazed to the commonly used contact carrier materials. 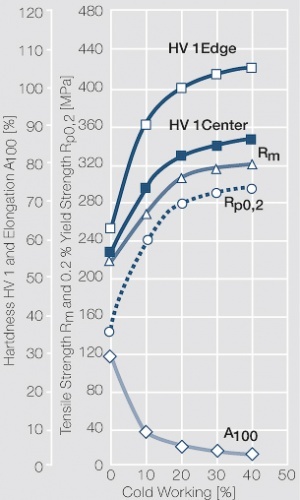 The (SINIDUR) materials with nickel contents of 30 and 40 wt% are used in switching devices requiring a higher arc erosion resistance and where increases in contact resistance can be compensated through higher contact forces. 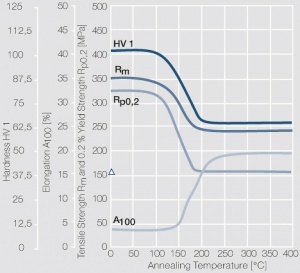 The most important applications for Ag/Ni contact materials are typically in relays, wiring devices, appliance switches, thermostatic controls, auxiliary switches, and small contactors with nominal currents > 20A Table 14. 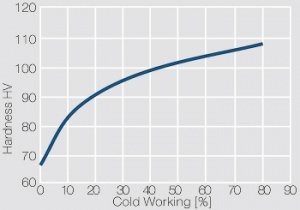 Elongation A (soft annealed) [%] min. The family of silver-metal oxide contact materials includes the material groups: silver-cadmium oxide (DODURIT CdO), silver-tin oxide (SISTADOX), and silverzinc oxide (DODURIT ZnO). 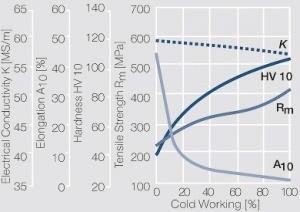 Because of their very good contact and switching properties like high resistance against welding, low contact resistance, and high arc erosion resistance, silver-metal oxides have gained an outstanding position in a broad field of applications. They mainly are used in low voltage electrical switching devices like relays, installation and distribution switches, appliances, industrial controls, motor controls, and protective devices Table 21. Silver-cadmium oxide (DODURIT CdO) materials with 10-15 wt% are produced by both, internal oxidation and powder metallurgical methods Table 15. The manufacturing of strips and wires by internal oxidation starts with a molten alloy of silver and cadmium. 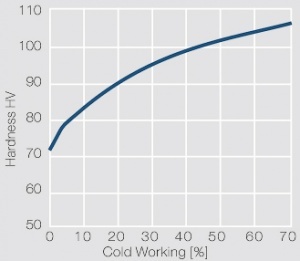 During a heat treatment below it's melting point in a oxygen rich atmosphere in such a homogeneous alloy the oxygen diffuses from the surface into the bulk of the material and oxidizes the Cd to CdO in a more or less fine particle precipitation inside the Ag matrix. The CdO particles are rather fine in the surface area and are becoming larger further away towards the center of the material Figure 39. During the manufacturing of Ag/CdO contact material by internal oxidation the processes vary depending on the type of semi-finished material. For Ag/CdO wires a complete oxidation of the AgCd wire is performed, followed by wire-drawing to the required diameter Figure 33 and Figure 34. The resulting material is used for example in the production of contact rivets. 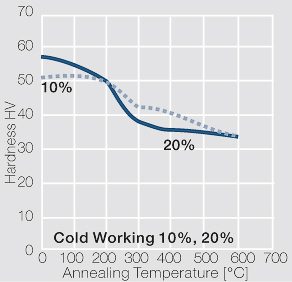 For Ag/CdO strip materials two processes are commonly used: Cladding of an AgCd alloy strip with fine silver followed by complete oxidation results in a strip material with a small depletion area in the center of it's thickness and a Ag backing suitable for easy attachment by brazing (sometimes called "Conventional Ag/CdO"). 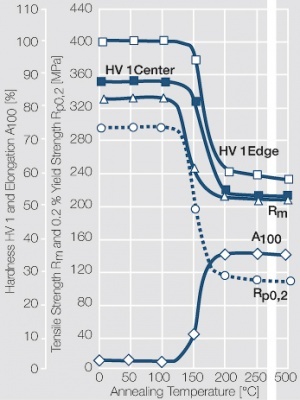 Using a technology that allows the partial oxidation of a dual-strip AgCd alloy material in a higher pressure pure oxygen atmosphere yields a composite Ag/CdO strip material that has besides a relatively fine CdO precipitation also a easily brazable AgCd alloy backing Figure 41. These materials (DODURIT CdO ZH) are mainly used as the basis for contact profiles and contact tips. During powder metallurgical production the powder mixed made by different processes are typically converted by pressing, sintering and extrusion to wires and strips. 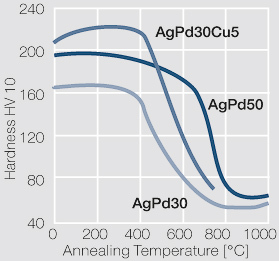 The high degree of deformation during hot extrusion produces a uniform and fine dispersion of CdO particles in the Ag matrix while at the same time achieving a high density which is advantageous for good contact properties Figure 40. 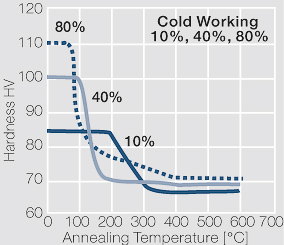 To obtain a backing suitable for brazing, a fine silver layer is applied by either com-pound extrusion or hot cladding prior to or right after the extrusion Figure 42. For larger contact tips, and especially those with a rounded shape, the single tip Press-Sinter-Repress process (PSR) offers economical advantages. The powder mix is pressed in a die close to the final desired shape, the "green" tips are sintered, and in most cases the repress process forms the final exact shape while at the same time increasing the contact density and hardness. Using different silver powders and minor additives for the basic Ag and CdO starting materials can help influence certain contact properties for specialized applications. Over the past years, many Ag/CdO contact materials have been replaced by Ag/SnO2 based materials with 2-14 wt% SnO2 because of the toxicity of Cadmium. 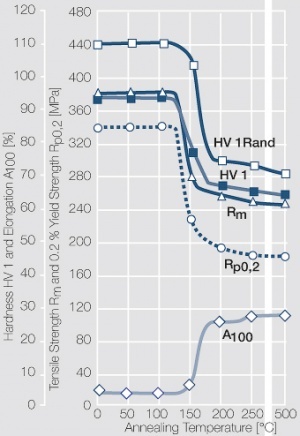 This changeover was further favored by the fact that Ag/SnO2 contacts quite often show improved contact and switching properties such as lower arc erosion, higher weld resistance, and a significant lower tendency towards material transfer in DC switching circuits Table 20. 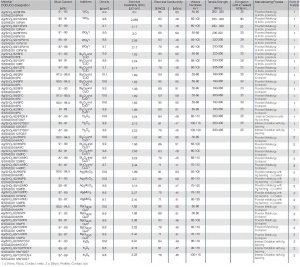 Ag/SnO2 materials have been optimized for a broad range of applications by other metal oxide additives and modification in the manufacturing processes that result in different metallurgical, physical and electrical propertiesTable 18 und Table 19. 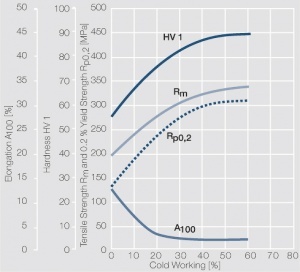 Manufacturing of Ag/SnO2 by internal oxidation is possible in principle, but during heat treatment of alloys containing > 5 wt% of tin in oxygen, dense oxide layers formed on the surface of the material prohibit the further diffusion of oxygen into the bulk of the material. 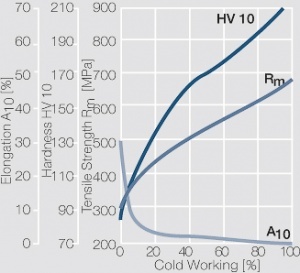 By adding Indium or Bismuth to the alloy the internal oxidation is possible and results in materials that typically are rather hard and brittle and may show somewhat elevated contact resistance and is limited to applications in relays. 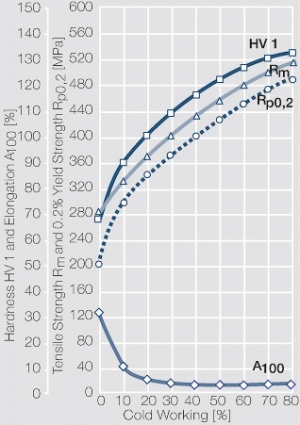 To make a ductile material with fine oxide dispersion (SISTADOX TOS F) Figure 70 it is necessary to use special process variations in oxidation and extrusion which lead to materials with improved properties in relays. 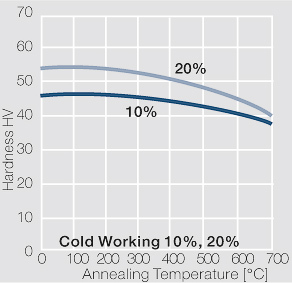 Adding a brazable fine silver layer to such materials results in a semifinished material suitable for the manufacture as smaller weld profiles (SISTADOX WTOS F) Figure 72. 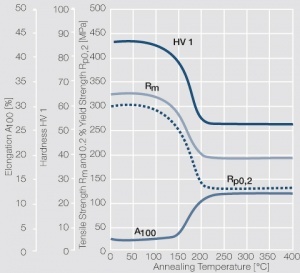 Because of their resistance to material transfer and low arc erosion these materials find for example a broader application in automotive relays Table 21. Powder metallurgy plays a significant role in the manufacturing of Ag/SnO2 contact materials. Besides SnO2 a smaller amount (<1 wt%) of one or more other metal oxides such as WO3, MoO3, CuO and/or Bi2O3 are added. These additives improve the wettability of the oxide particles and increase the viscosity of the Ag melt. 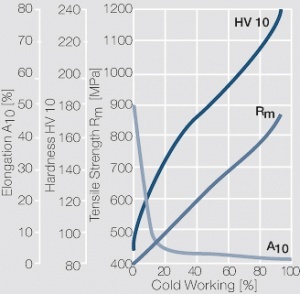 They also provide additional benefits to the mechanical and arcing contact properties of materials in this group Table 16 (Table 2.26 als PDF herunterladen: File:Physical Mechanical properties.pdf ). In this common process all components including additives that are part of the powder mix are blended as single powders. The blending is usually performed in the dry stage in blenders of different design. 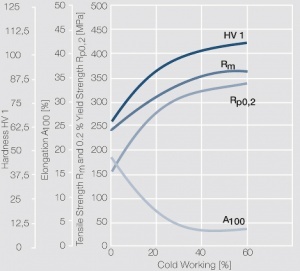 For incorporation of additive oxides in the SnO2 powder the reactive spray process (RSV) has shown advantages. This process starts with a waterbased solution of the tin and other metal compounds. This solution is nebulized under high pressure and temperature in a reactor chamber. 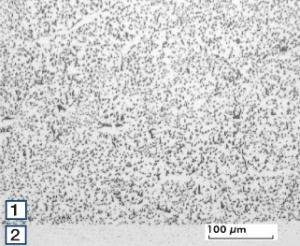 Through the rapid evaporation of the water each small droplet is converted into a salt crystal and from there by oxidation into a tin oxide particle in which the additive metals are distributed evenly as oxides. The so created doped AgSnO2 powder is then mechanically mixed with silver powder. In this process tin oxide powder is blended with lower meting additive oxides such as for example Ag2 MoO4 and then heat treated. 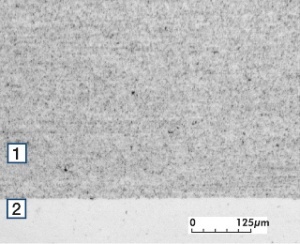 The SnO2 particles are coated in this step with a thin layer of the additive oxide. 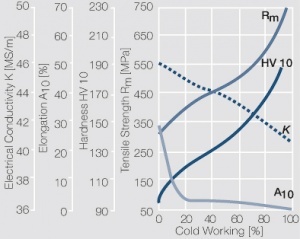 A combination of powder metallurgy and internal oxidation this process starts with atomized Ag alloy powder which is subsequently oxidized in pure oxygen. During this process the Sn and other metal components are transformed to metal oxide and precipitated inside the silver matrix of each powder particle. A silver salt solution is added to a suspension of for example SnO2 together with a precipitation agent. In a chemical reaction silver and silver oxide respectively are precipitated around the additive metal oxide particles who act as crystallization sites. Further chemical treatment then reduces the silver oxide with the resulting precipitated powder being a mix of Ag and SnO2. Further processing of these differently produced powders follows the conventional processes of pressing, sintering and hot extrusion to wires and strips. From these contact parts such as contact rivets and tips are manufactured. To obtain a brazable backing the same processes as used for Ag/CdO are applied. 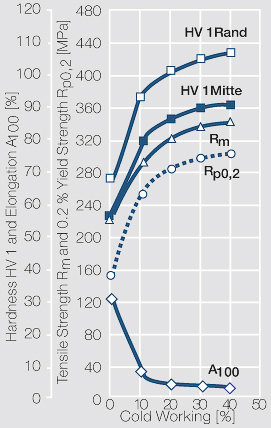 As for Ag/CdO, larger contact tips can also be manufactured more economically using the press-sinter-repress (PSR) process Table 17. Silver zinc oxide (DODURIT ZnO) contact materials with mostly 6 - 10 wt% oxide content including other small metal oxides are produced exclusively by powder metallurgy (Figs. 76 – 81),. 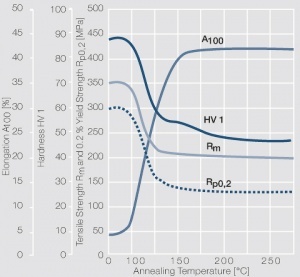 Adding Ag2WO4 in the process b) as described in the preceding chapter on Ag/SnO2 has proven most effective for applications in AC relays, wiring devices, and appliance controls. Just like with the other Ag metal oxide materials, semi-finished materials in strip and wire form are used to manufacture contact tips and rivets. 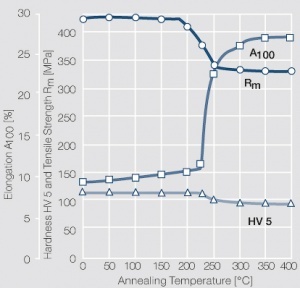 Because of their high resistance against welding and arc erosion Ag/ZnO materials present an economic alternative to Cd free Ag-tin oxide contact materials Table 20 and Table 21. Prohibition of use in consumer products and appliances in EU. 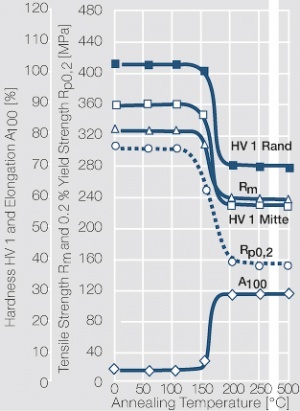 Ag/C (GRAPHOR) contact materials are usually produced by powder metallurgy with graphite contents of 2 – 5 wt% Table 22. The earlier typical manufacturing process of single pressed tips by pressing - sintering - repressing (PSR) has been replaced in Europe for quite some time by extrusion. In North America and some other regions however the PSR process is still used to some extend mainly for cost reasons. The extrusion of sintered billets is now the dominant manufacturing method for semi-finished AgC materials . The hot extrusion process results in a high density material with graphite particles stretched and oriented in the extrusion direction (Figs. 86 – 89). Depending on the extrusion method in either rod or strip form the graphite particles can be oriented in the finished contact tips perpendicular (GRAPHOR) or parallel (GRAPHOR D) to the switching contact surface Figure 87 and Figure 88. Since the graphite particles in the Ag matrix of Ag/C materials prevent contact tips from directly being welded or brazed, a graphite free bottom layer is required. This is achieved by either burning out (de-graphitizing) the graphite selectively on one side of the tips or by compound extrusion of a Ag/C billet covered with a fine silver shell. 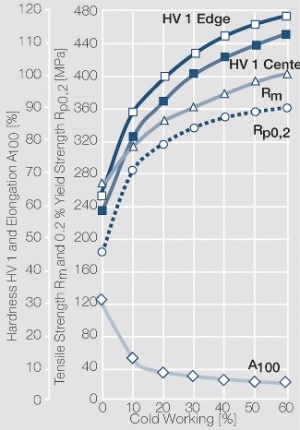 Ag/C contact materials exhibit on the one hand an extremely high resistance to contact welding but on the other have a low arc erosion resistance. This is caused by the reaction of graphite with the oxygen in the surrounding atmosphere at the high temperatures created by the arcing. 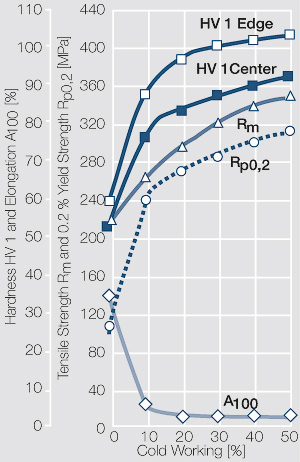 The weld resistance is especially high for materials with the graphite particle orientation parallel to the arcing contact surface. 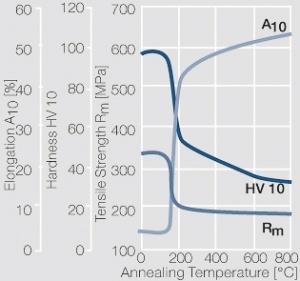 Since the contact surface after arcing consists of pure silver the contact resistance stays consistently low during the electrical life of the contact parts. A disadvantage of the Ag/C materials is their rather high erosion rate. 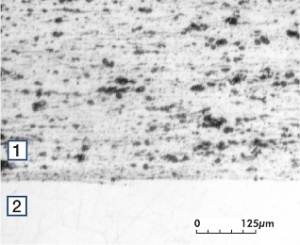 In materials with parallel graphite orientation this can be improved if part of the graphite is incorporated into the material in the form of fibers (GRAPHOR DF), Figure 89. 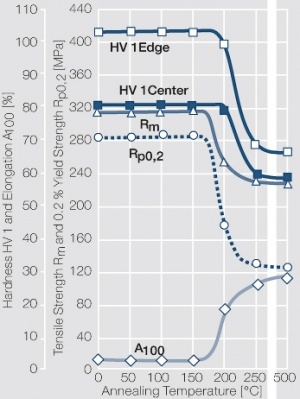 The weld resistance is determined by the total content of graphite particles. 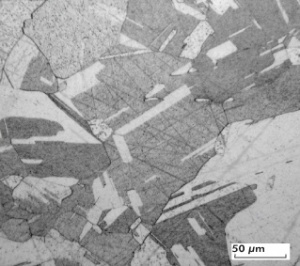 Ag/C tips with vertical graphite particle orientation are produced in a specific sequence: Extrusion to rods, cutting of double thickness tips, burning out of graphite to a controlled layer thickness, and a second cutting to single tips. Such contact tips are especially well suited for applications which require both, a high weld resistance and a sufficiently high arc erosion resistance Table 23. 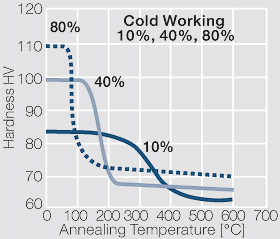 For attachment of Ag/C tips welding and brazing techniques are applied. welding the actual process depends on the material's graphite orientation. For Ag/C tips with vertical graphite orientation the contacts are assembled with single tips. For parallel orientation a more economical attachment starting with contact material in strip or profile tape form is used in integrated stamping and welding operations with the tape fed into the weld station, cut off to tip form and then welded to the carrier material before forming the final contact assembly part. 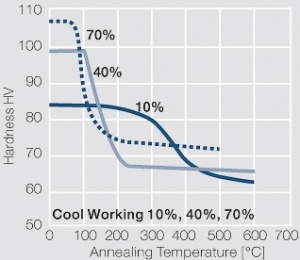 For special low energy welding the Ag/C profile tapes GRAPHOR D and DF can be pre-coated with a thin layer of high temperature brazing alloys such as CuAgP. 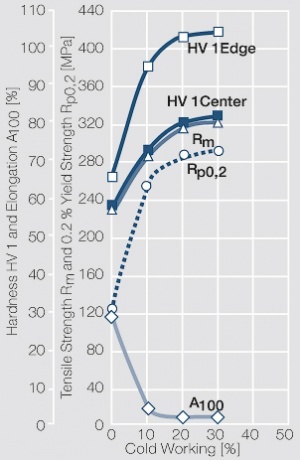 In a rather limited way, Ag/C with 2 – 3 wt% graphite can be produced in wire form and headed into contact rivet shape with low head deformation ratios. The main applications for Ag/C materials are protective switching devices such as miniature molded case circuit breakers, motor-protective circuit breakers, and fault current circuit breakers, where during short circuit failures highest resistance against welding is required Table 24. 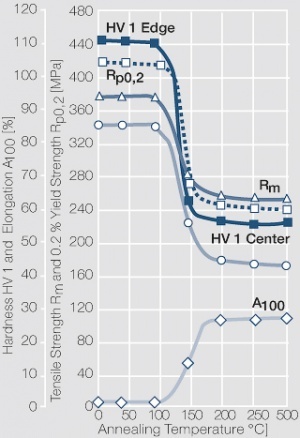 For higher currents the low arc erosion resistance of Ag/C is compensated by asymmetrical pairing with more erosion resistant materials such as Ag/Ni and Ag/W. This page was last edited on 24 September 2014, at 16:17.